In the days of old, before anything was ever marketed as organic, everything just simply was organic. There were fruit and vegetables grown without the interference of chemicals or modern science. And the people, proud and strong, lived their lives one day at a time, enjoying the season’s offerings. But that was then. Now we live in cities, rushing from one place to another, hardly knowing where we’ll be dining next, let alone where the ingredients were farmed and how they were grown. But there is a better way. On the outskirts of Temperance, MI, surrounded by sunny fields of corn, you will find the Thatcher’s distillery. On the outside it looks like any old distillery, but on the inside it couldn’t be any more different. In here you won’t find large automated machines, instead you’ll find people, proud and strong. You see, people are the true spirit of Thatcher’s, and that’s why we make it the old fashioned way; by hand in small batches. 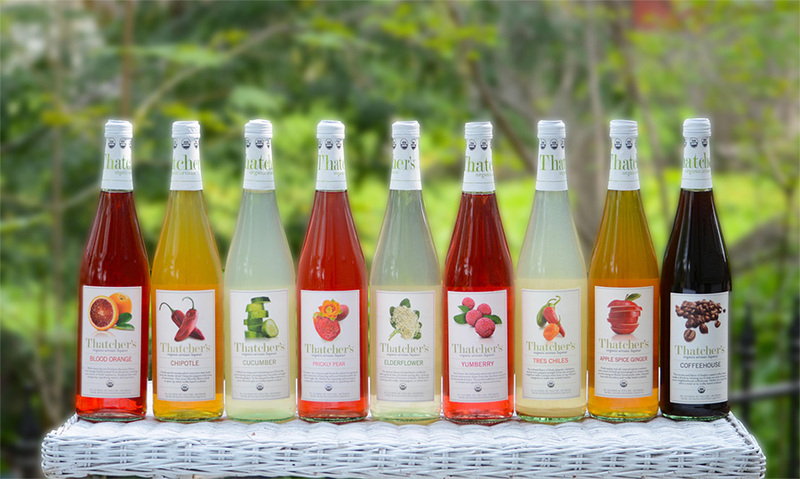 We find that making our liqueurs like this, using all natural, gluten free, sustainably farmed, organic ingredients, gives them a personal touch and lets us pass along to you a part of what makes Thatcher’s so special; the pride and care that goes into each bottle. So when you mix up a cocktail for your friends, it’s kind of like we’re there as well, enjoying the season’s offerings in the company of good spirits.